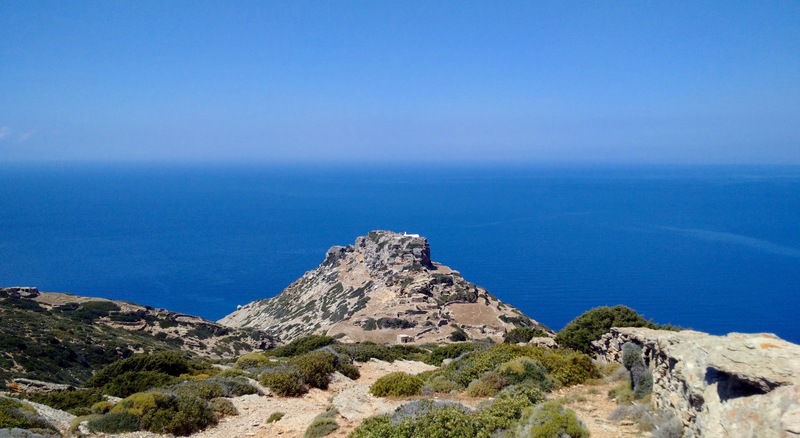 Join us for a yoga holiday in the Cyclades island of Amorgos, one of the most beautiful and untouched island in Greece. 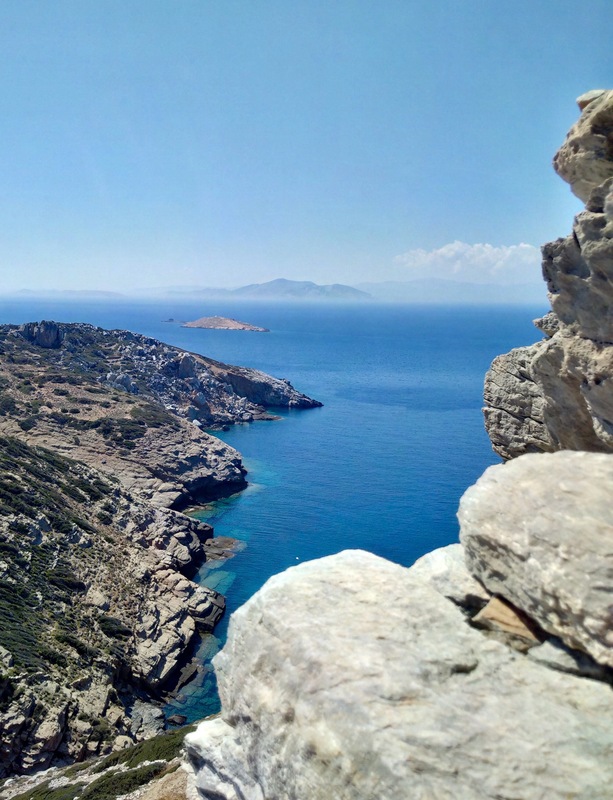 We will have 6 full days in Amorgos (7 nights) with 2 daily yoga classes (in the tradition of BKS Iyengar), a lot of free time to relax and/or explore the island. Alex will inspire you to go deeper in your yoga practice and to get the full benefit out of the poses using, when needed, the perfect set up for your body. The daily practice is designed in a way you will feel energised and relaxed. Be prepared to be challenged in the morning asana classes but also to let go and relax during the restorative sessions. Alex uses the Iyengar method in his classes. Everyone is welcome, beginners as well as advanced yoga practitioners. The group will be small, perfect to improve and deepen your practice! 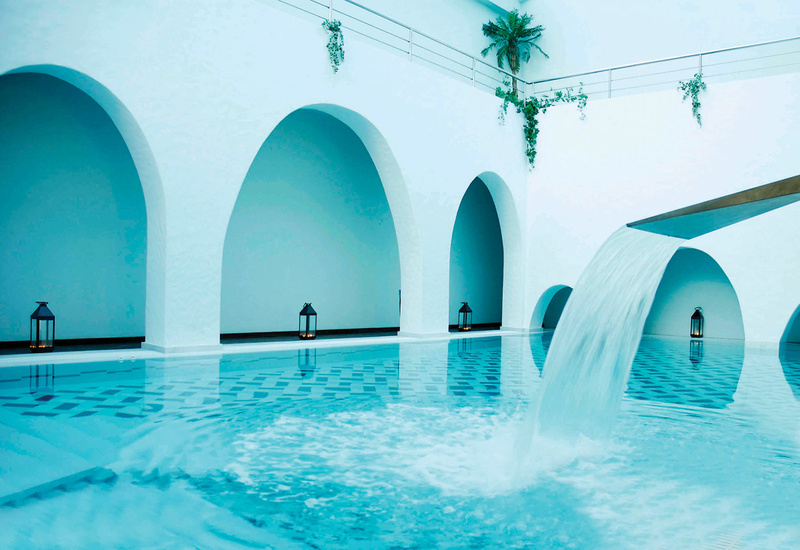 Private sessions during the retreat are possible on request. 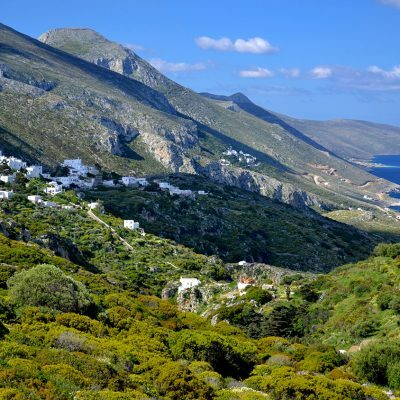 Amorgos is situated in the Aegean sea, in the easter part of the Cyclades island group. 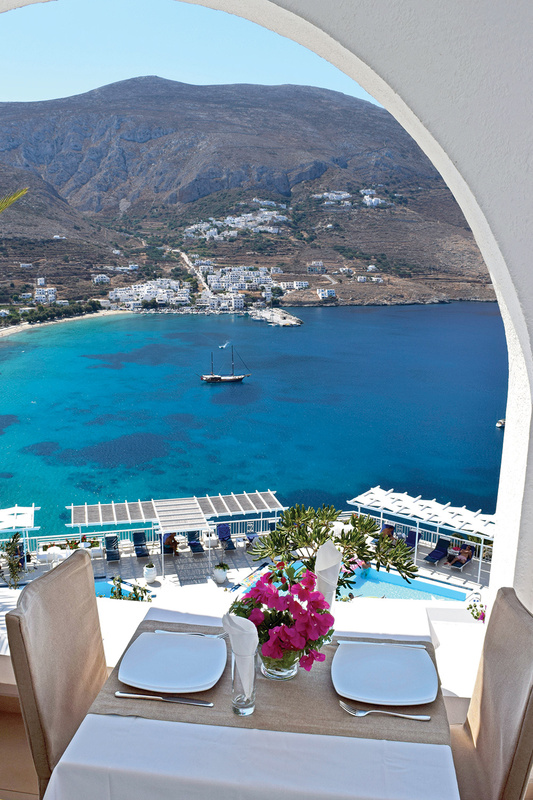 It’s one of the most beautiful Greek islands and our favorite one! You may have already seen the island in the Luc Besson’s cult movie ‘The big blue”(1988). 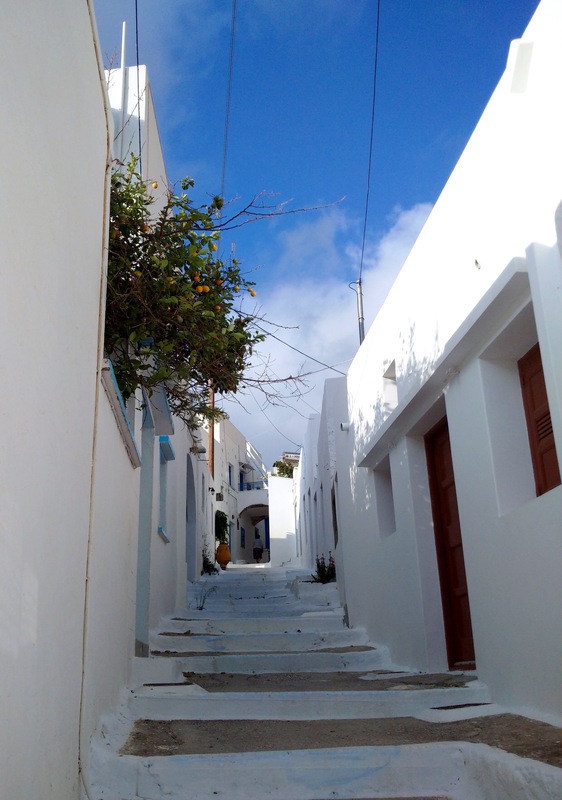 The island is very well preserved, protected from mass tourism and its traditions are still alive. 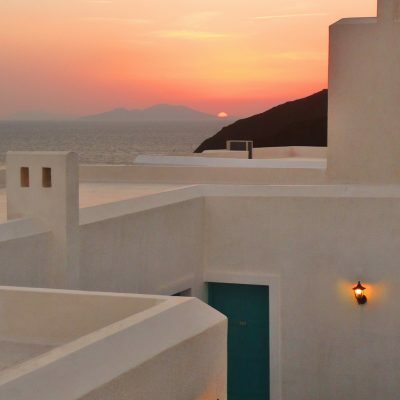 We are so looking forward to make you discovered this amazing, peaceful island with its traditional white villages, beautiful landscape and the hospitality of the locals. 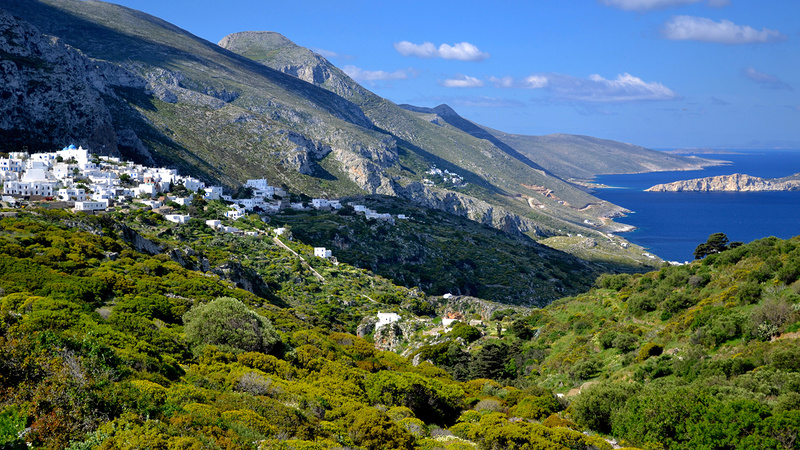 Amorgos is particularly renowned for scuba diving and hiking. We will have a long walk together, so don’t forget to bring good walking shoes with you! 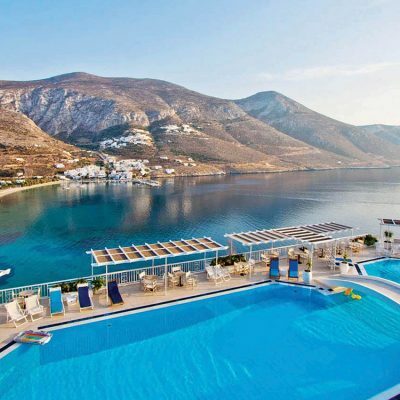 During the retreat, we will stay in the beautiful Aegialis Hotel & Spa, situated in the northern part of Amorgos, overlooking the bay of Aegiali. 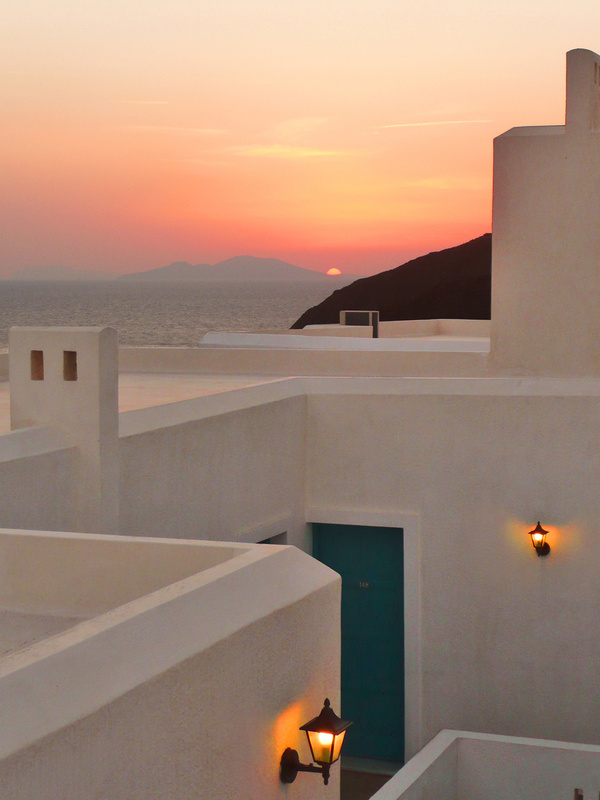 You won’t get tired of the stunning view and the amazing sunsets. 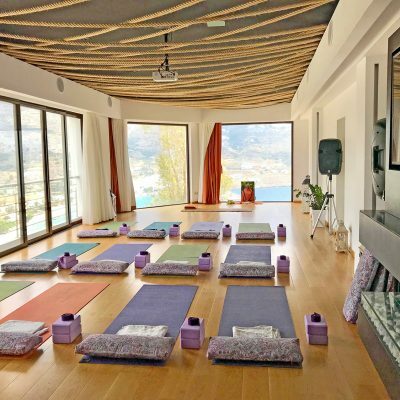 The hotel was awarded by CNN for being one of the top five yoga destinations in Greece. 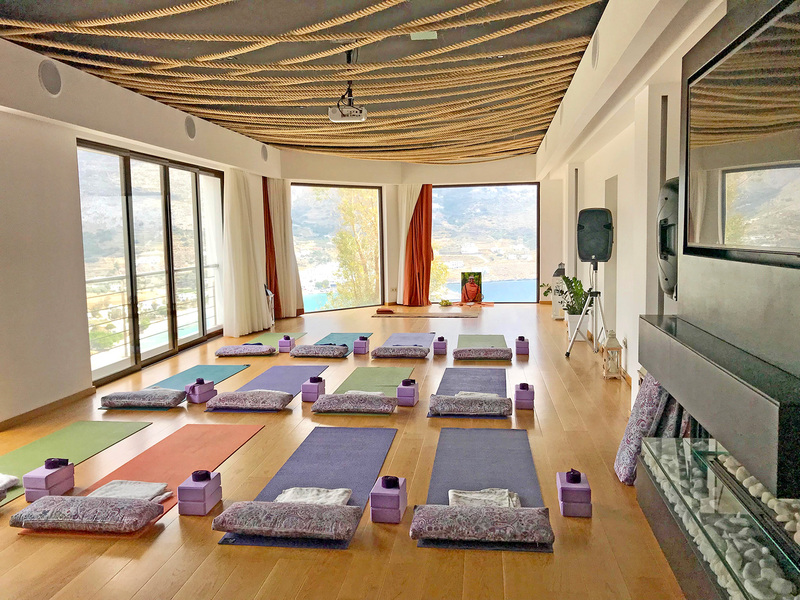 All the yoga shalas are fully equipped and overlooking the Aegean sea. 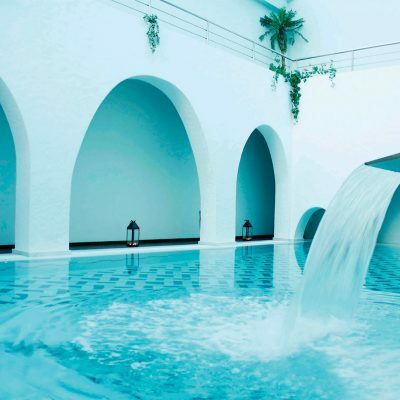 In your free time, you can enjoy their 2 sea water swimming pools, the sauna, hammam or indulge in a massage. 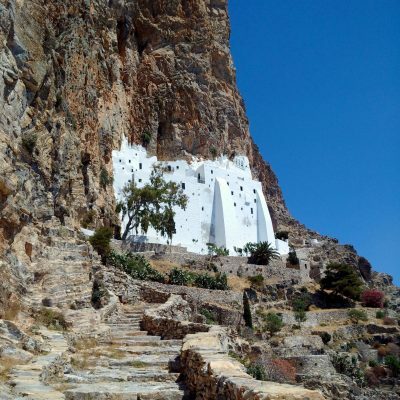 Visit of the 11th century Monastery of Hozoviotissa and walk back to the Hotel following the most beautiful hiking path of the Island (the walk is approximatively 3H30). 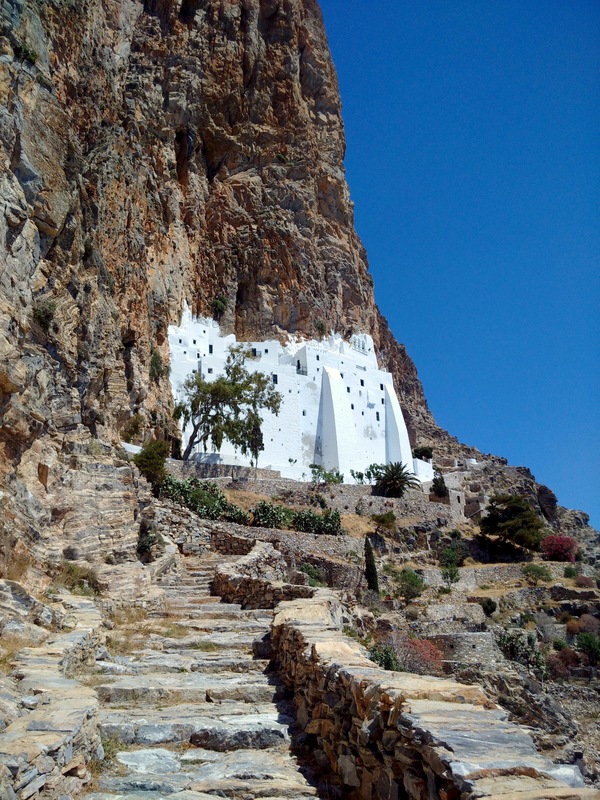 If you don’t feel up for a walk , you can go back to the hotel after the monastery or have a shorter walk (the car can pick us up in Asfondilitis, 1H30 after the monastery). 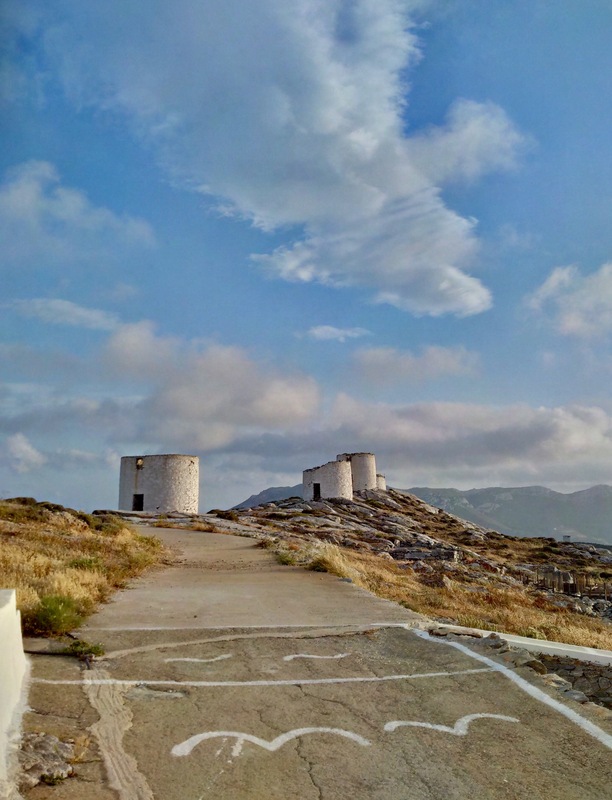 Remember that Amorgos has two ports, Aegiali port in the northern part of the island (closer to the hotel) and Katapola port situated in the middle of the island (20km from the hotel). 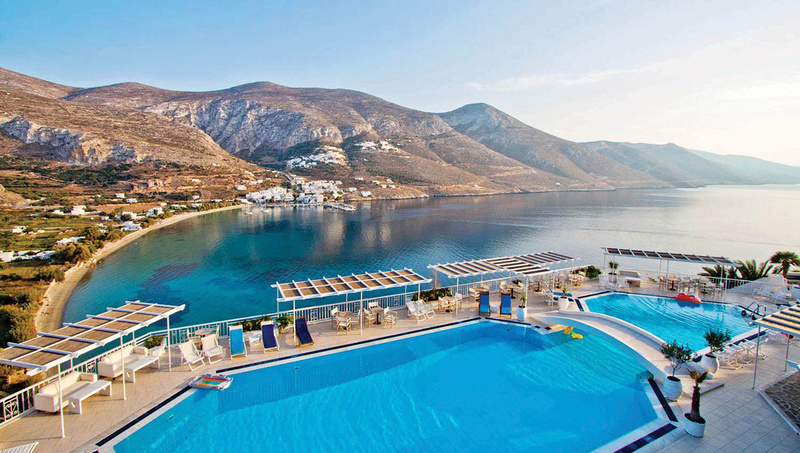 The hotel can drop you and pick you up from both ports. 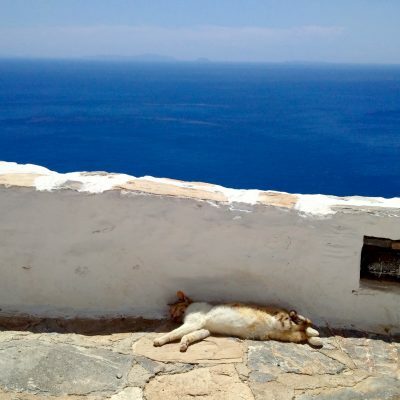 The Blue Star Ferries have a connection to Amorgos 6 times per week (no boat on Saturday). 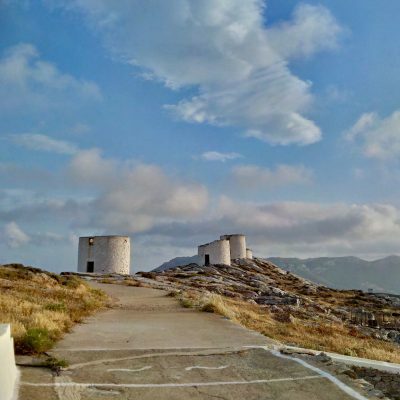 The boat leaves the port of Piraeus at 5:30 pm and arrives in one of the 2 ports of Amorgos, Katapola or Aegiali, depending of the days. 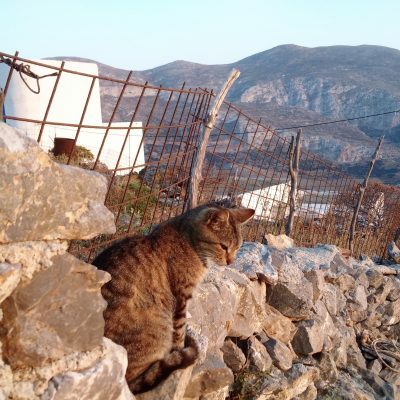 You need at least 1H to reach the port from the Airport, so we recommend you to book a flight which arrives before 2pm or a day before (and visit the beautiful and interesting city of Athens). In May, it’s normally easy to get tickets just before the departure. But for cheaper prices and conveniences, it’s nice to reserve before (2-3 months in advance). Without seat reservation : 36 € at the port. If booked in advanced, you can find Super Economy tickets for 20 € (+5 € administrating fee). 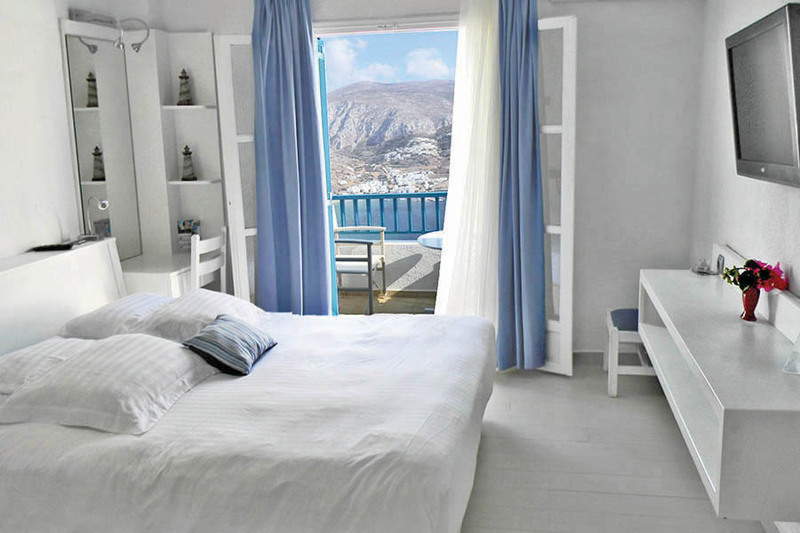 Different cabins with beds are also available. Check prices on the Blue Star Ferries website. 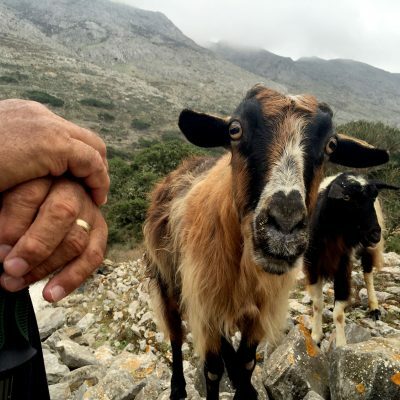 For the Super Economy price, we recommend to book your tickets via the Paleologos Agency. We will take the boat on Wednesday 8th May at 5:30 pm and meet you at 4 pm in the port of Pireaus. 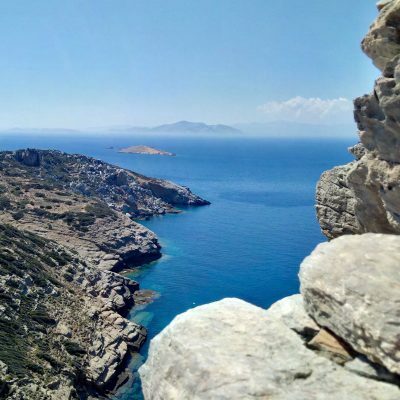 If flying to Mykonos, Santorini or Naxos is more convenient for you or you want to visit other islands before the retreat starts, you have to know that there is less island connections in May than in the summer months and you will have to go via Naxos. 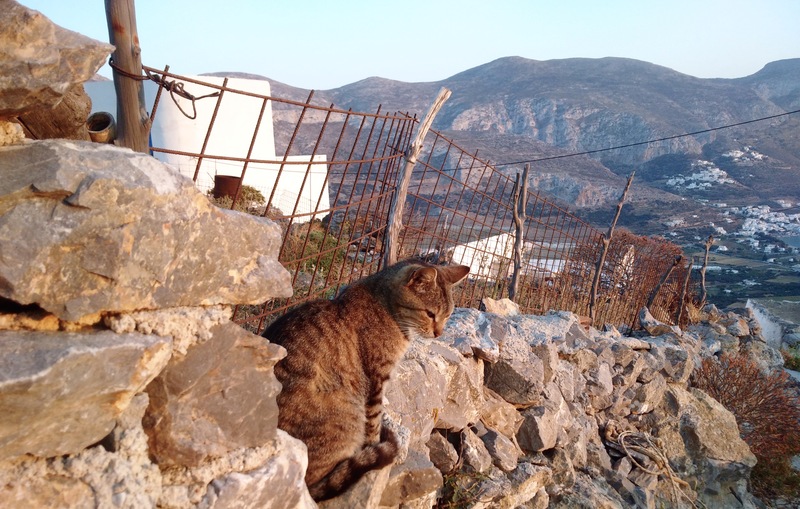 Contact us if you want more information on the ferry options from the Cycladic Islands. 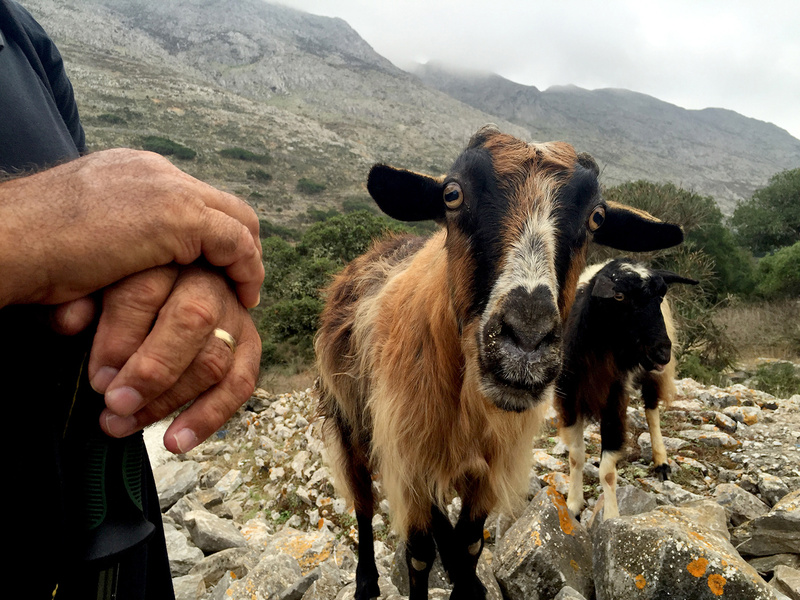 The lunches are not included, except for the day of the visit to the Monastery, we will have a picnic together. For your lunches, you can still have food at the hotel. Also, in the port of Aegiali (15min walk), you will find restaurants, cafés, a bakery, 2 small supermarkets and a nice small organic shop. All the rooms will have a small fridge and a kettle to make tea! 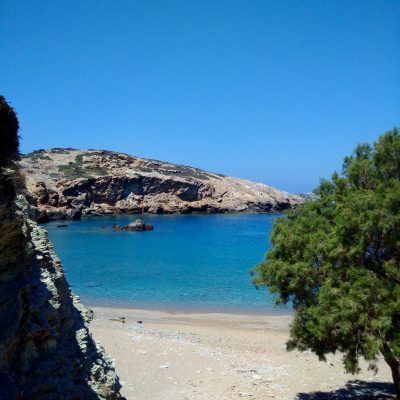 2 beaches are 5 min walk from the hotel and after a 10-15 min walk you will be in the port of Aegiali. If you want to move around and visit more the island, we recommend you to rent a car or a scooter. You can get a scooter for more or less 10 € per day and a car for 25 €. 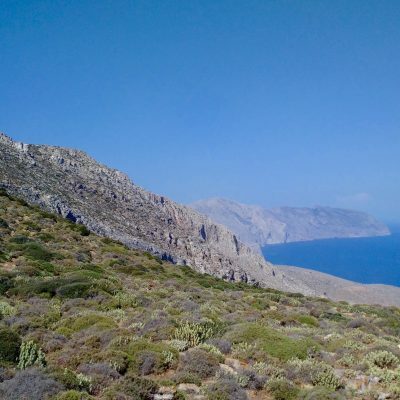 Hiking is one of the most popular activities in Amorgos. 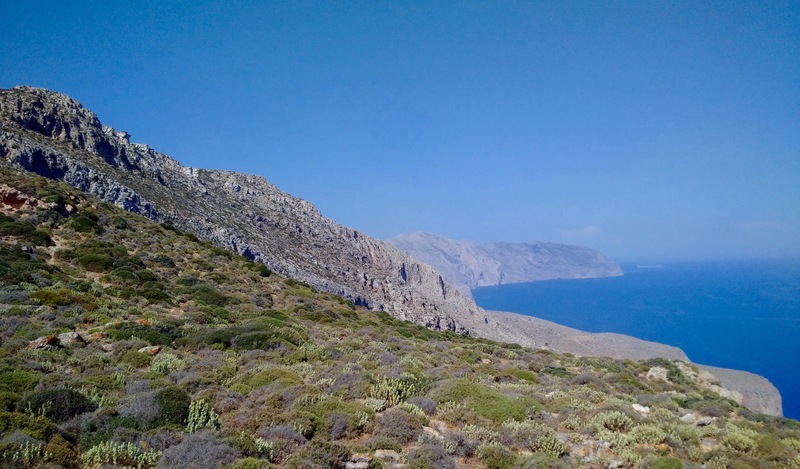 The island is famous for its beautiful walking paths. The water around the island has an average visibility of 50 m which makes it an amazing place for diving! 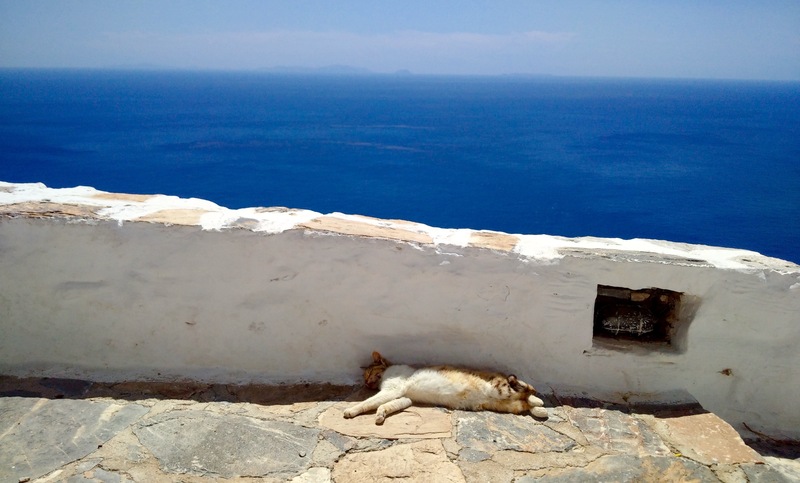 May is a great time to visit Amorgos. 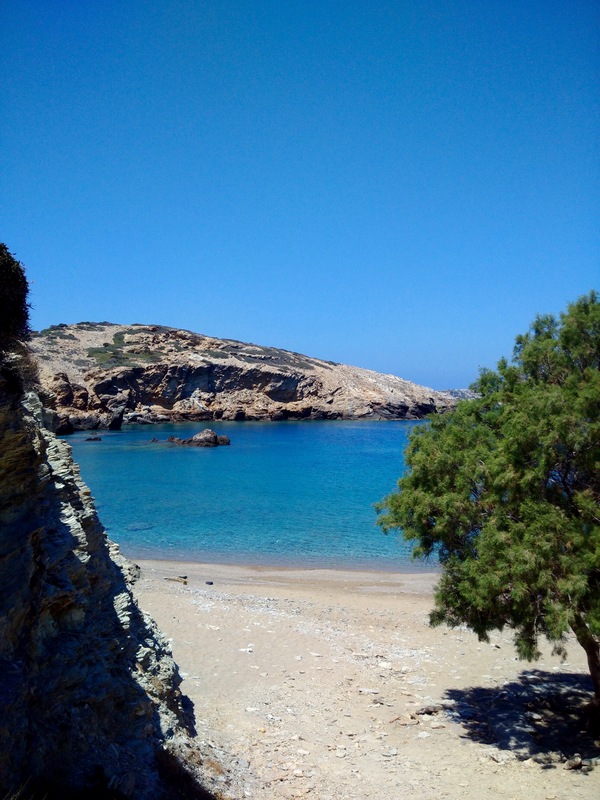 The temperatures are usually around 21-26˚C which is nicer for walking than in the summertime but already good to enjoy the beaches. Rain is not common during this month but we may have a couple of short showers as well as some windy days.